Government representatives from Argentina and the United Kingdom met in Buenos Aires during 14 - 15 March to analyse activities of the South Atlantic Fisheries Commission (SAFC), a request for bilateral co-operation favouring the conservation of fishing resources in that region. 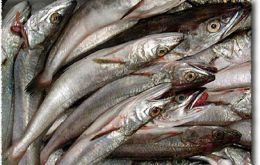 Chile decided the implementation of a conservation and recovery plan for (hubbsi) common hake following a survey which warns about the species conservation high risk and particularly the threat to future renewal in the country's main fisheries. 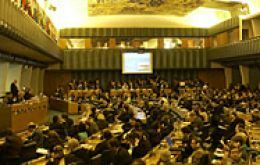 A large group of countries attending a high level meeting on world fisheries in Rome have agreed to start a process leading to the adoption of a legally binding international agreement establishing control measures in ports where fish is landed, transhipped or processed in order to combat illegal fishing, the United Nations Food and Agriculture Organization, FAO, announced Monday. The Food and Agriculture Organisation (FAO) on Monday voiced serious concern over a number of species of fish caught on the high seas and called for better monitoring and management of the stocks. 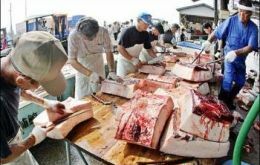 Japanese whalers have officially called off their annual Antarctic whale hunt following a devastating fire aboard the fleet's mother ship. 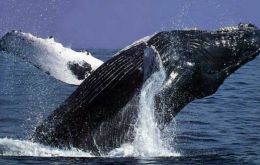 Japan's Institute for Cetacean Research (ICR) has released a statement saying the whaling ships were on their way home early. 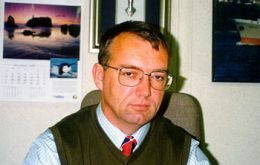 As has been already reported in Penguin News, the Falkland Islands' (Malvinas) weekly newspaper, two crewmen are missing, presumed dead, after jumping into Stanley Harbour in an attempt to escape from a Taiwanese fishing boat, the Jih Da Gan. Eight companions were rescued by emergency services and have been helping local police with their enquiries. 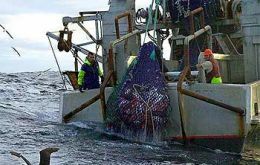 Fifteen longliners fishing on the 3,000-tonne CCAMLR toothfish quota have all now left the fishery areas around Antarctica. 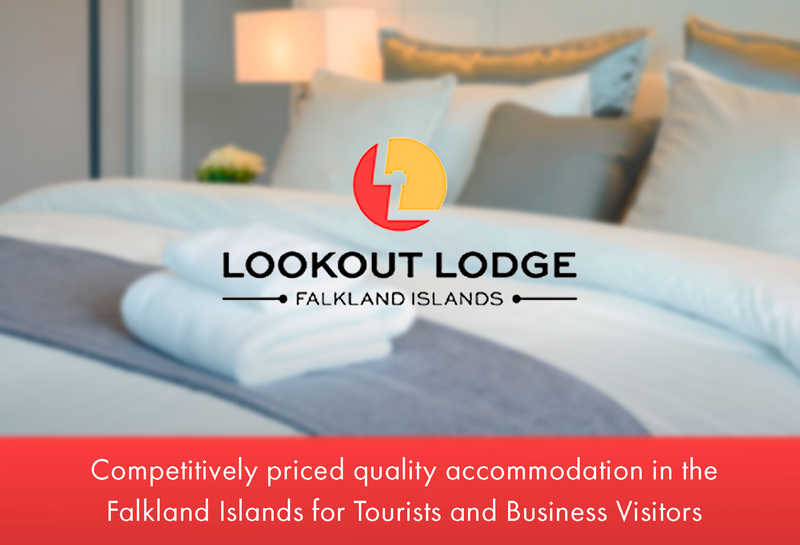 Many vessels have experienced a season of difficult fishing conditions due to excessive ice. 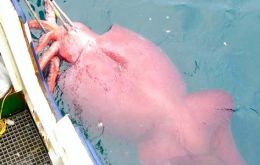 An adult specimen of the world's largest known squid was hauled to the surface by a New Zealand longliner fishing for toothfish in Antarctic waters. The creature, known as a colossal squid (Mesonychoteuthis hamiltoni) and with eyes the size of a car tire weighed an estimated 450 kilograms. Chilean salmon and trout exports in 2006 totaled 2.207 billion US dollars, up 28% over 2005 according to the Salmon Industry Association, (SalmonChile). United States was the main market for Chilean salmon and trout overtaking Japan.